This spring, Lynden Transport and Alaska West Express celebrated 10 years of doing business with the Pogo Gold Mine near Fairbanks. To commemorate both the mine’s anniversary and the ongoing business relationship, Fairbanks Sales Manager Ken Hall presented External Affairs Manager Lorna Shaw and General Manager Chris Kennedy w ith a plaque at the mine headquarters office in Delta Junction. Pogo Mine is one of Lynden’s largest customers in Fairbanks and the partnership goes way back – pre-dating this year’s 10th anniversary. 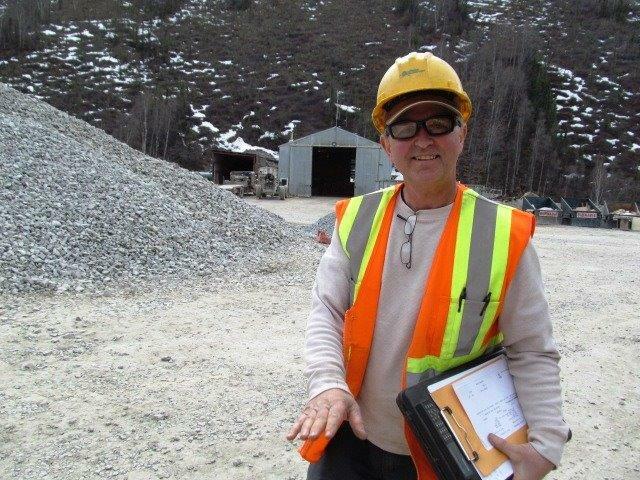 Exploration at the Pogo Mine began in 1990 and gold deposits were discovered in 1994. During the mine construction in 2005 and 2006, Lynden companies were an integral part of the construction effort. Prior to completion of the all-season road, Alaska West Express Project Manager Steve Willford, Al Guettinger and a crew of drivers were based in a small office near Delta Junction to coordinate the movement of building materials and supplies over the winter ice road to the mine site. Alaska West employees worked long days receiving inbound freight and consolidating loads to be positioned at the Quartz Lake staging area. Each morning the staged loads would be dispatched to move via the ice road to the mine site. This allowed the mine to receive supplies to support construction until the all-season road was opened. Pogo Mine is located 38 miles northeast of Delta Junction. Access to the mine is via a 49-mile all-season road on the Richardson Highway. As Lynden drivers make their way up the narrow haul road, they check in at regular milepost intervals to assure safety and speed requirements are met. “We are not in a convenient location. The road narrows to one lane in some areas requiring radio communication and coordination,” Lorna explains. “We really appreciate Lynden’s dependable drivers and commitment to safety."